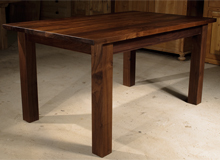 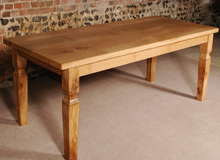 Character Grade Oak Top Table with mild steel base – this particular example of our Character Grade Oak Top Table is approximately 2,130mm long, 915mm wide and 40mm thick. 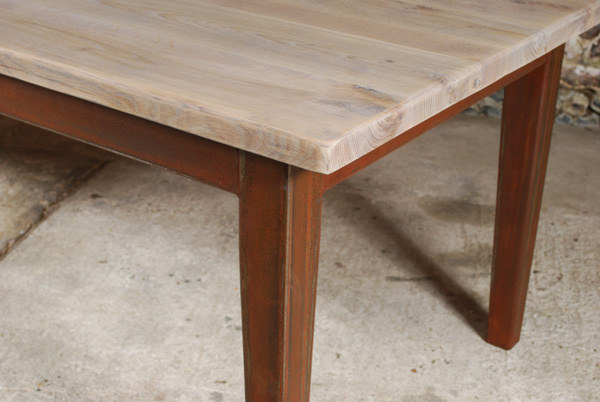 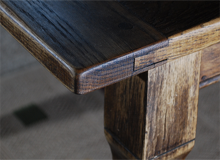 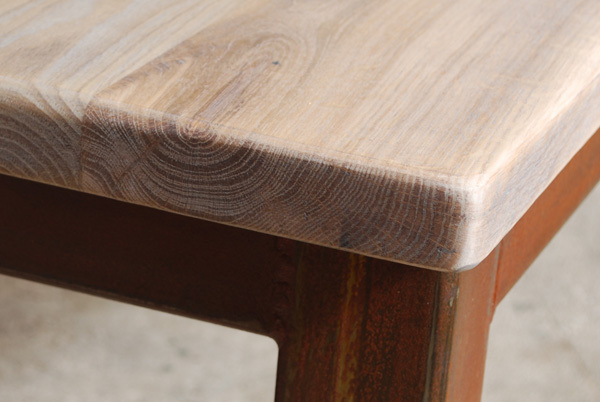 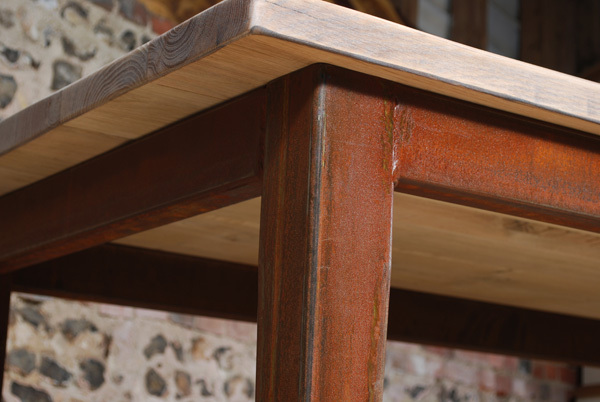 The character grade oak top is mounted on a mild steel base which has taperred legs and which has been aged to show a pleasing rust patina which has then been sealed, to preserve the look. 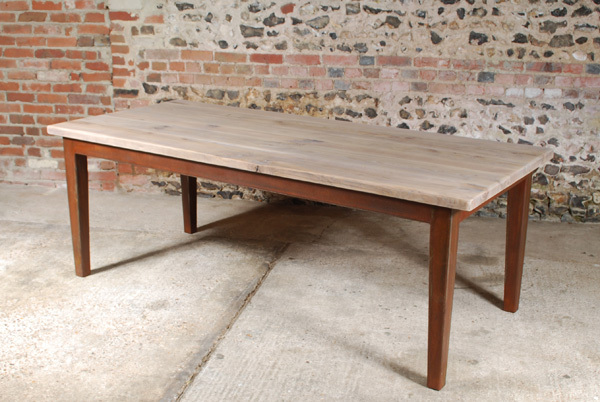 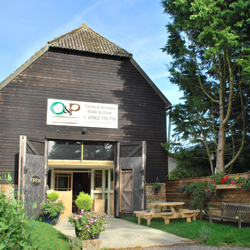 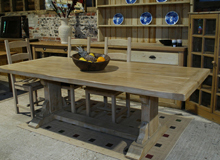 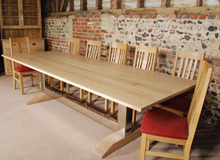 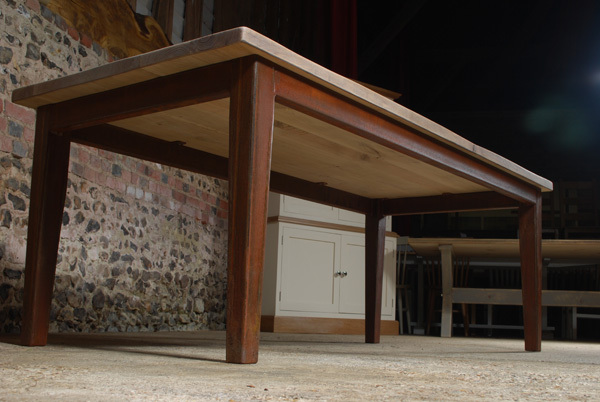 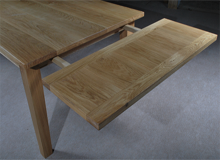 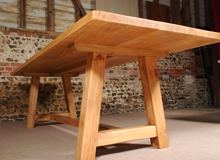 Expertly crafted handmade oak tables from The Oak and Pine Barn, Winchester, Hampshire – made to order, or available from stock – visit today! 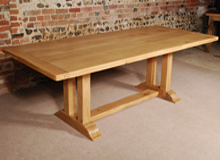 Character Grade Oak Top Tables, Oak tables, Ash tables, Pine tables, English Oak tables, French Oak tables, European Oak tables, American Walnut tables, Sweet Chestnut tables, Pippy Oak tables, English Elm tables. 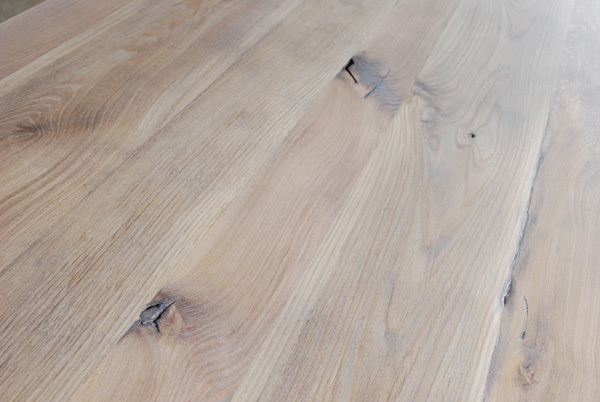 For solid oak flooring to complement your Character Grade Oak Top Table, please visit our associate website at more floor.